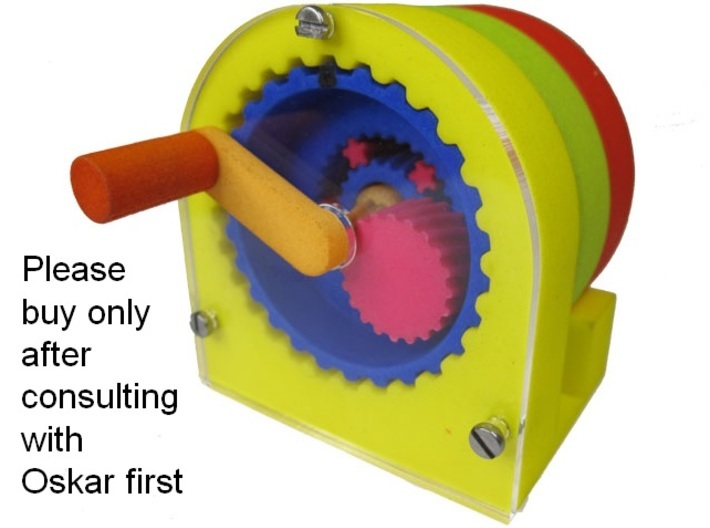 PLEASE BUY ONLY AFTER CONSULTING WITH OSKAR FIRST !!! 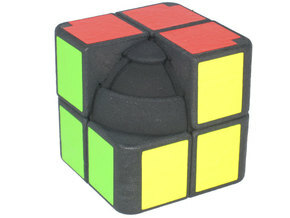 PLEASE BE AWARE THAT THE SCREWS & ACRILIC PANELS ARE NOT INCLUDE IN THE 3D-PRINTED KIT. 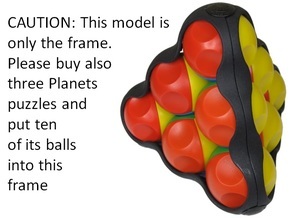 byuers are aware the screws & acrilic panels are not include in the kit. 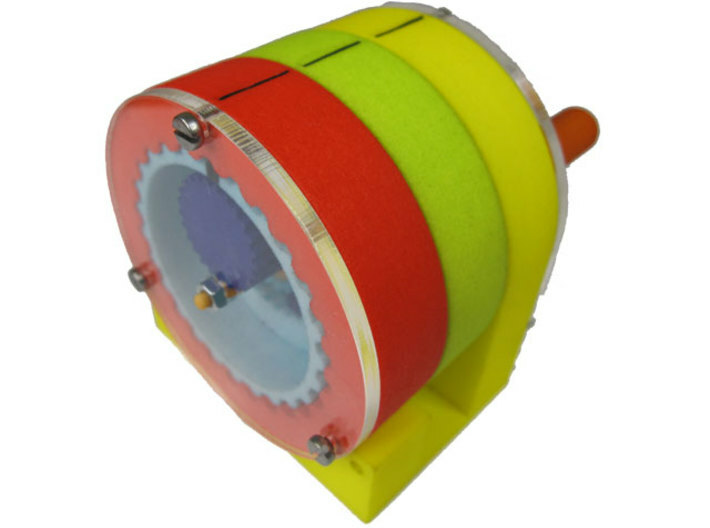 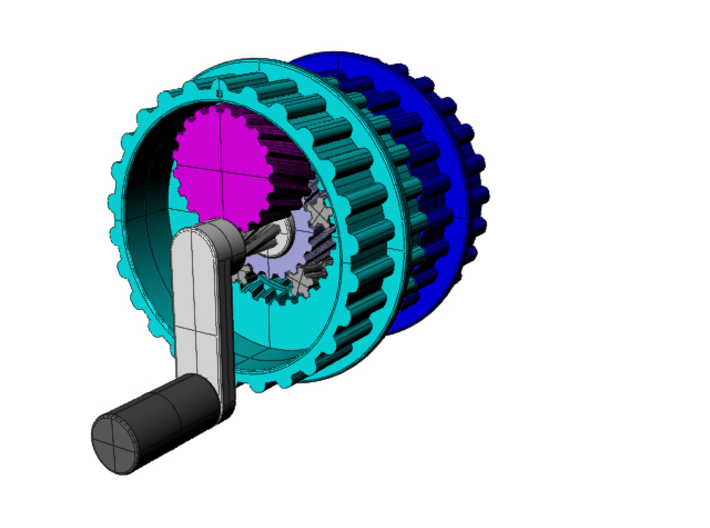 Extreme Reduction is an ultra-compact gearing system with an extreme reduction. The gear ratio is 11.373.076 : 1, that is, over eleven million to one!!! 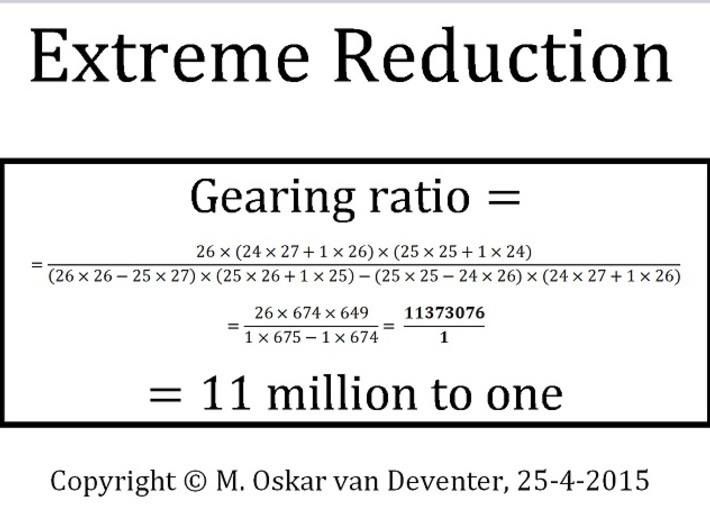 That extreme reduction is achieved in three stages. 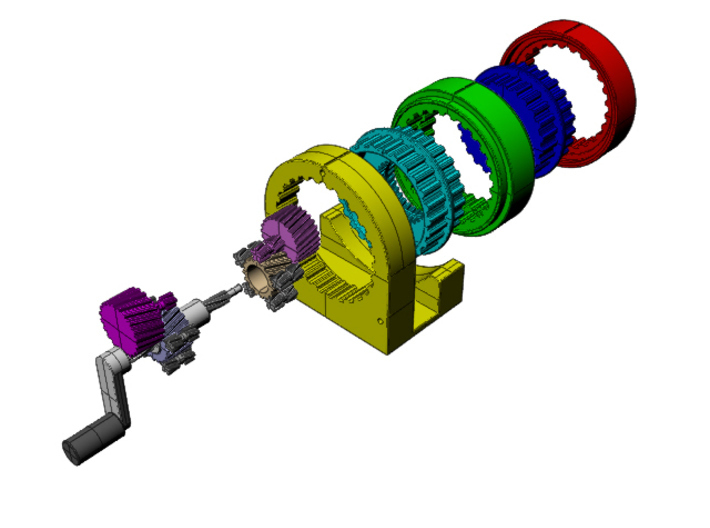 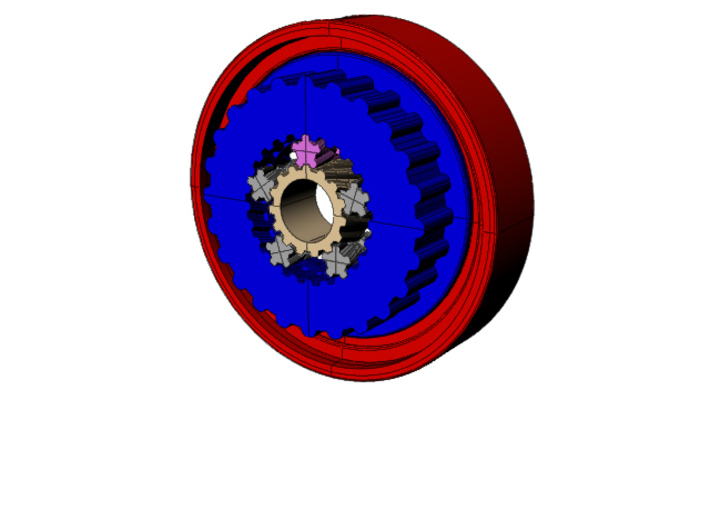 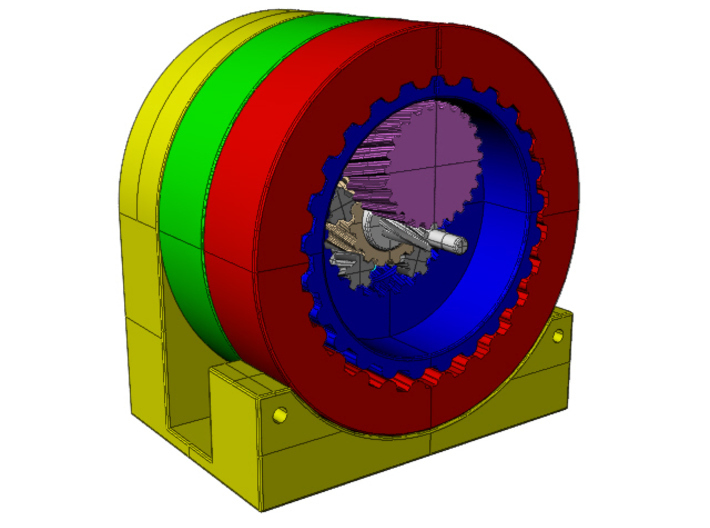 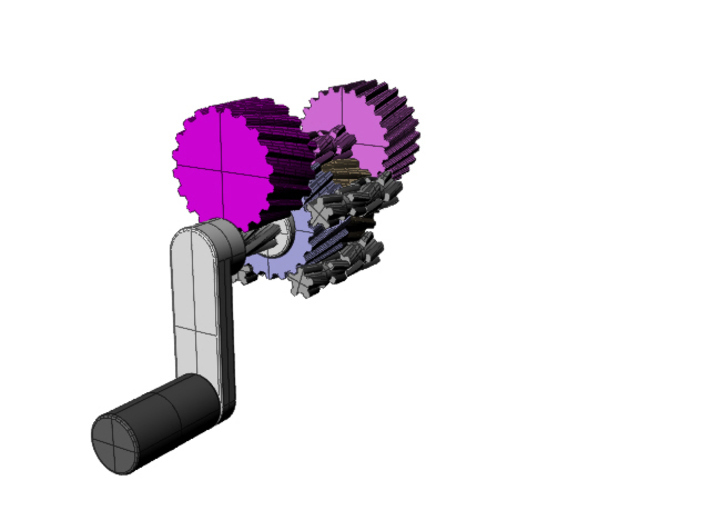 -Stage 1: Two sets of planetary gears with a reduction of 24 : 1 and 25 : 1, respectively. 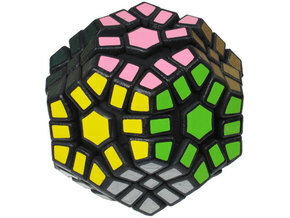 -Stage 2: Two subtractions, 26×26-25×27=1 and 25×25-24×26=1, respectively. 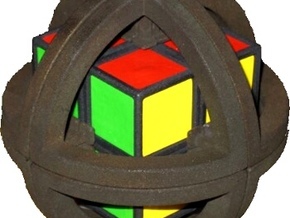 -Stage 3: Another subtraction, namely (25×26+1×25)-(24×27+1×26)=1. 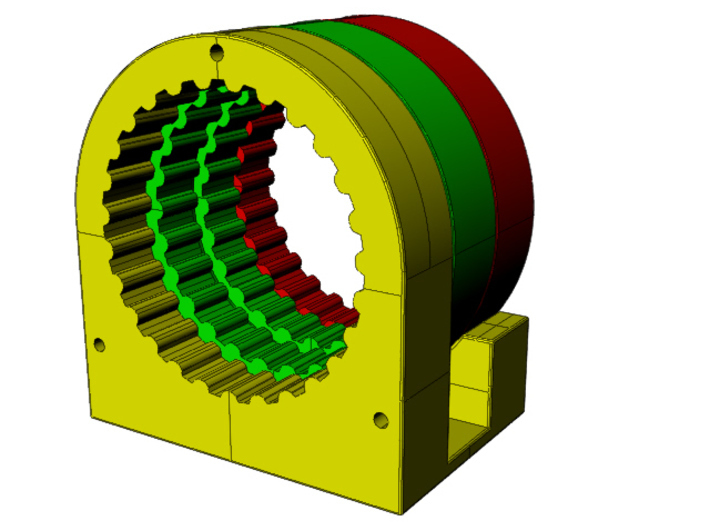 The number of teeth of a gear needs to be an integer square plus or minus one because of the subtracting mechanism. 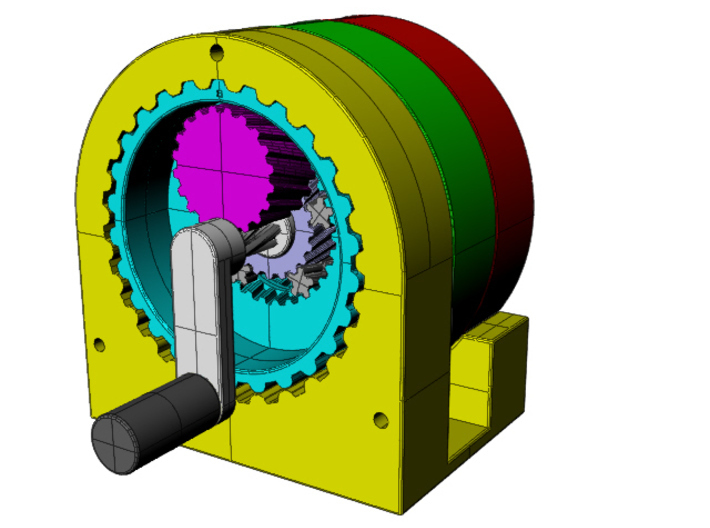 Whereas high reduction radios are typically achieved with worm gears, a planetary gear system like this is much more compact. 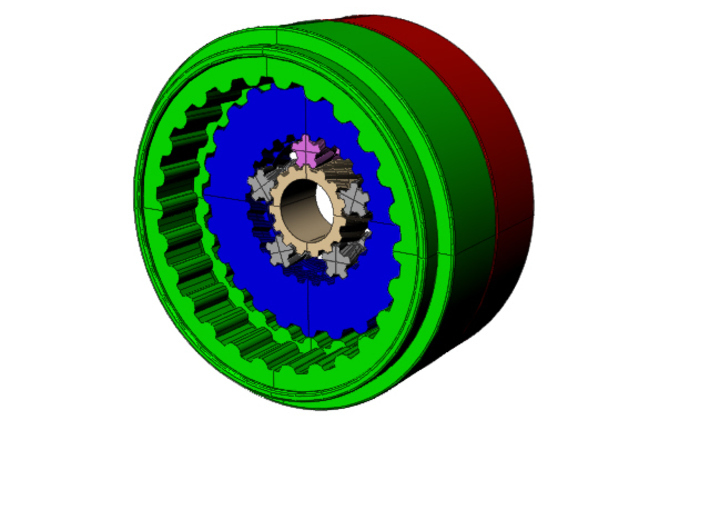 The gears have a limited number of teeth, which makes the system very robust. 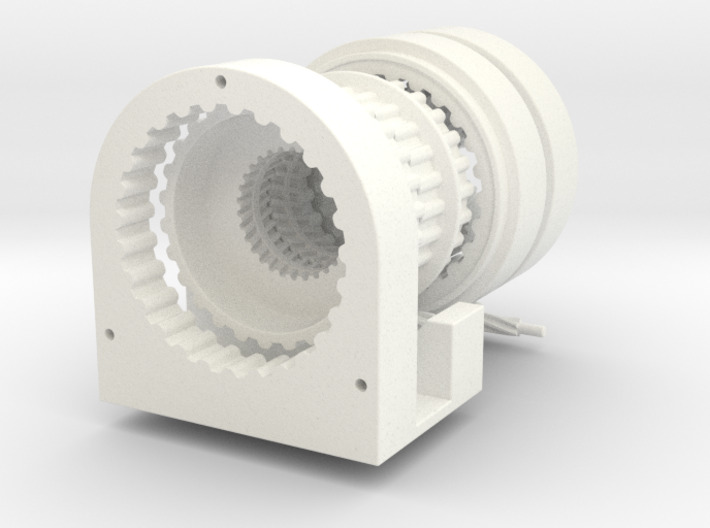 Also unlike worm gears, this planetary gears system is coaxial, which makes it easier to place. 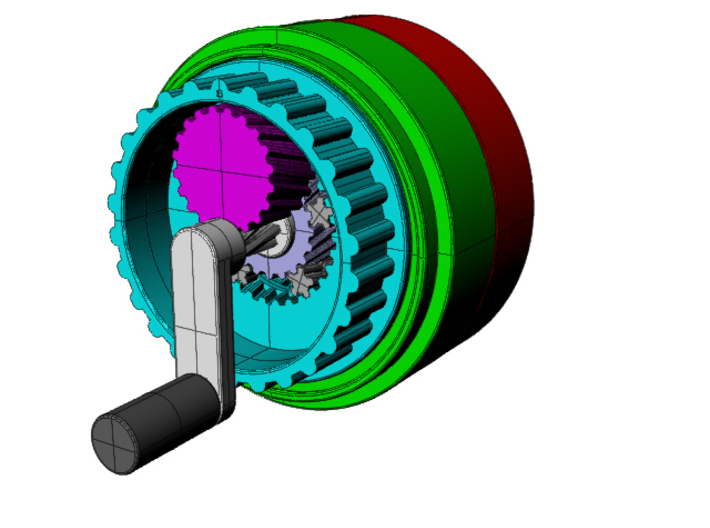 The application of this type of extreme reduction gears is unclear. 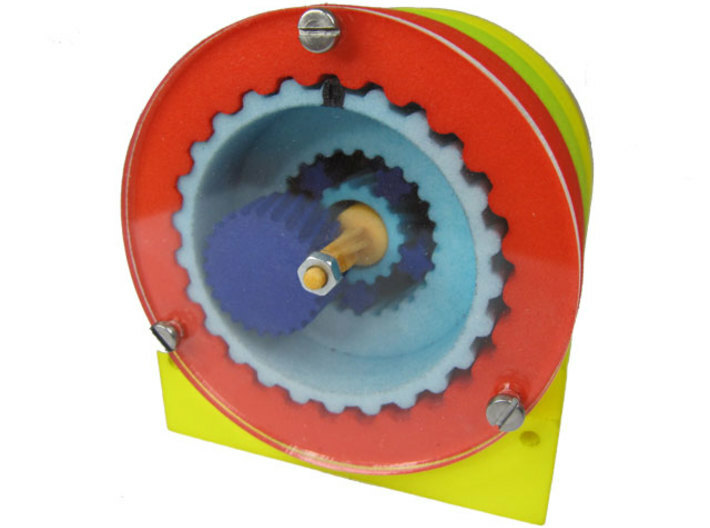 A patient person could use it to move a heavy train locomotive with a dental dril. 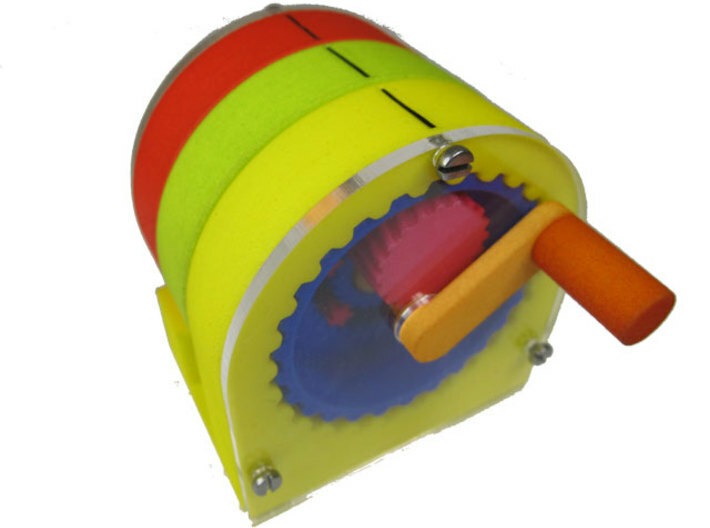 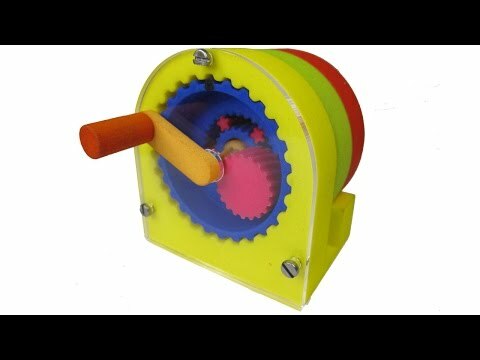 Please order a 3D-printed do-it-yourself gear kit from Shapeways at this page (check with Oskar about accessories), or contact Oskar directly if you are interested in obtaining a fully colored, stickered and assembled sample of this puzzle.